There are a few fandoms that have stuck with me even as I've gotten older. One of the earliest memories I have is of watching Star Trek: The Next Generation with my dad. 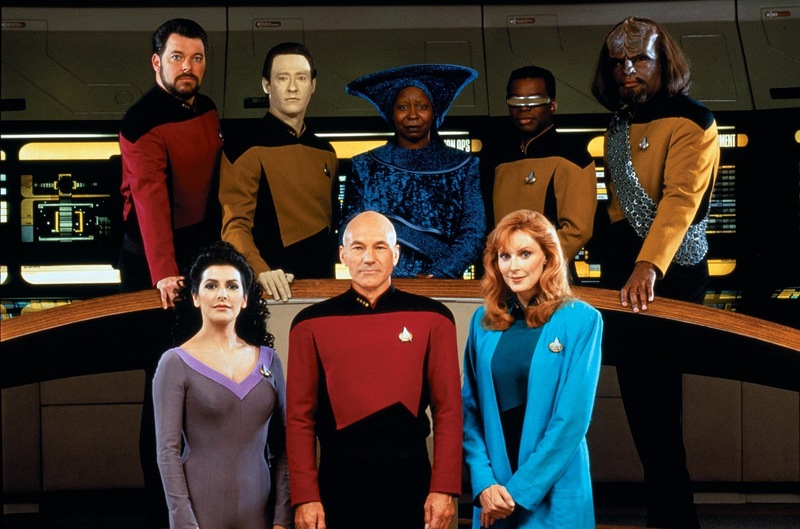 For me, Star Trek: The Next Generation isn't exactly a fandom--it's a part of life. I have a deep love for this series and its characters. Here are my reasons why it's a valued part of the Star Trek universe, as well as why you should give it a try if you haven't already. 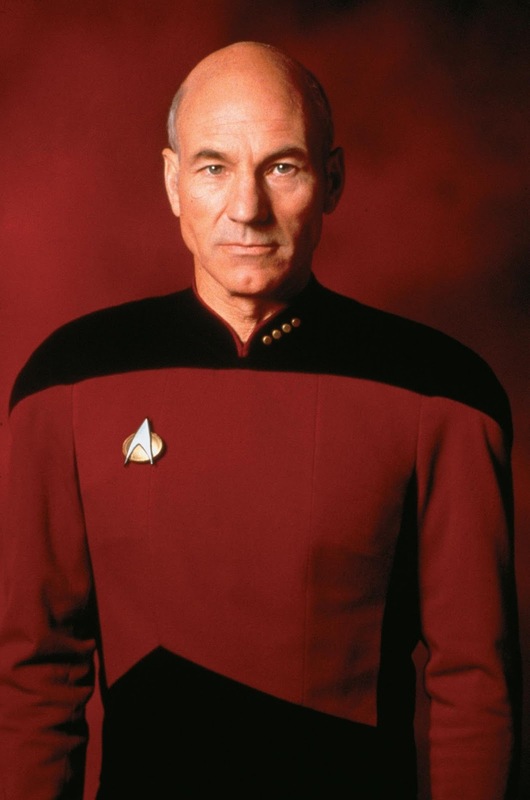 While Kirk was the original Starfleet captain and truly a legend, Picard managed to give him a run for his money. As the first captain I ever watched, Picard holds the key to my heart. He's level-headed, level-headed, and calm. I admire that he always tries to do the right thing. He also isn't afraid to make the hard call when necessary. He's everything I aspire to be. And everything I want to marry. Sorry, everyone, my favorite Star Trek character is this pale android. Most iterations of Star Trek follow a basic formula, and one of those formulas is having an emotionless, logical character on the ship. For The Original Series, this was Spock. For Deep Space Nine, it was Odo. For Voyager, it was Tuvok. For Enterprise, it was T'Pol. 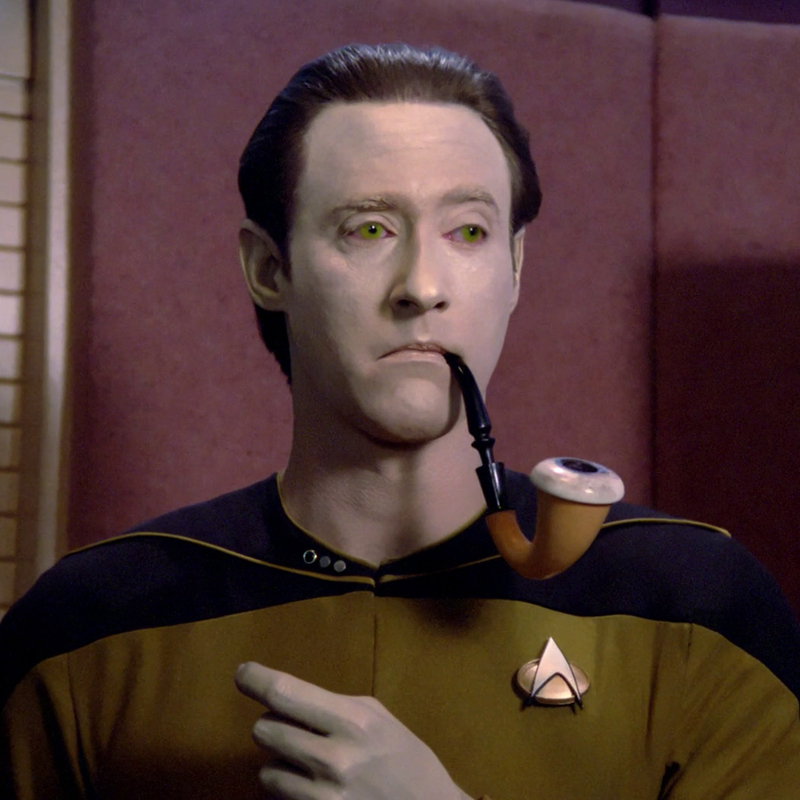 And in The Next Generation, the logical, emotionless character is Data. Even with his lack of emotion, Data is one of the sweetest characters on the show. His ongoing quest (other than exploring the galaxy, of course) is to understand humanity and emotions. One of his biggest struggles is that he doesn't have emotions, and he desperately wishes he could feel. (Which in turn produces feelings in my own heart.) 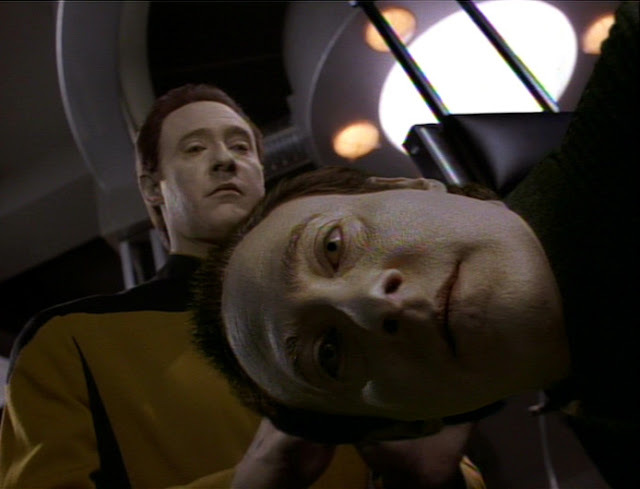 It's awfully sad and adorable to watch Data go through the myriad of adventures on the Enterprise. From a storytelling standpoint, Data's purpose, as well as the purpose of emotionless characters in Star Trek, is to provide another lens with which to view humanity. It helps us understand why we do the things we do, and it helps cast a different light on the human experience. As a young kid, my experiences were colored by Data's portrayal on the show, and his characterization changed me for the better. The thing that irks me most is that I don't have time to go into detail about every single character. Suffice it to say, there are very few characters on The Next Generation that I actually dislike. 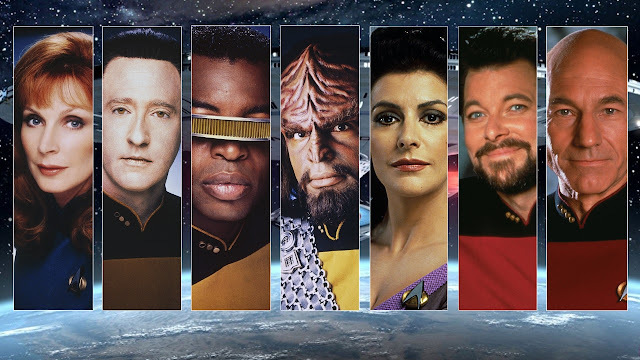 From the standoffish Worf to the mysterious Guinan to the warmhearted O'Brien, there are so many personalities and character types to love. The dynamics with which the Enterprise's crew interact are impressive and almost unparalleled. The Next Generation is one of the best ensemble shows we've ever had, and while it has its flaws, the show handles almost every character and story line with grace. Speaking of, the story lines on The Next Generation are complex in the best of ways. There are often two-part episodes and long-running story arcs, especially in the later seasons. The Next Generation continues to expand on the Starfleet universe, bringing seven seasons worth of new aliens and new conflicts. A lot of the stories revolve around space politics (and very fleshed-out politics at that, for being a fictional world), but some of them revolve around the characters: their history, present, and future. For all of its good plot lines, the characters are the heart of the show. More than that, the heart of show is humanity, in all its forms--black, white, and gray. However, some of the greatest story lines on Star Trek are humorous. The holodeck is a place where any world--and anything--can come to life. This leads to some funny and interesting circumstances. Beyond the holodeck, our characters have gone back in time, met Samuel Clemens (aka Mark Twain), and met duplicate versions of themselves. They've even gone head to head with Moriarty (yes... that Moriarty). Nothing is too wild for Star Trek, and it's interesting, not to mention hilarious, to see what can happen. If you think Star Trek is just a show about space, you'd be wrong. At its core, Star Trek is a show about the human condition. As such, Star Trek writers have not shied away from deep and intense subjects. They use metaphors, symbolism, and parallels to help create a deeper universe--and help us understand our own. For both Star Trek and its cousin Star Wars, musical theme songs are a vital part of each series. They get lodged in our minds and bring back the nostalgia of Star Trek whenever we hear them. For me, the theme song for TNG is exactly that way--an iconic reminder of the good memories Star Trek holds for me. If you need me, you can probably find me humming this theme song to myself and dreaming about the stars. Star Trek: The Next Generation was groundbreaking both in the world of television and my own personal life. If you'd like to check it out, all seven seasons are on Netflix. What are you waiting for? Have you seen The Next Generation? Why do you love it? This article is part of Star Trek Year, a celebration of the 50th anniversary of Star Trek. This month we're focusing on Star Trek: The Next Generation, and next month we'll focus on Star Trek: Deep Space Nine. If you'd like to write a guest post about Deep Space Nine, email us here. I love TNG because of how unique it was from the other series. It was wholesome escapism. It didn't feature a "chosen one" like Harry Potter, Lord of the Rings, or Star Wars. It was just people willing to give there all for the betterment of themselves and humankind. The characters actually acted liked they lived in a future time and weren't simply transplants from our time into the future like just about every other science fiction show has ever done. The conflicts between the characters were few and far between which some writers of the show found constrictive, but I personally found refreshing. (When they locked horns, it was because of something important.) The show inspired people in real life to get into science and the arts. And it was clear from the first frame of the show's broadcast that it was a labor of love for the people behind it. It is the only post-TOS series to have any major cultural impact--and for good reason. It had a magic to it and I fear we will never see a show like it again.